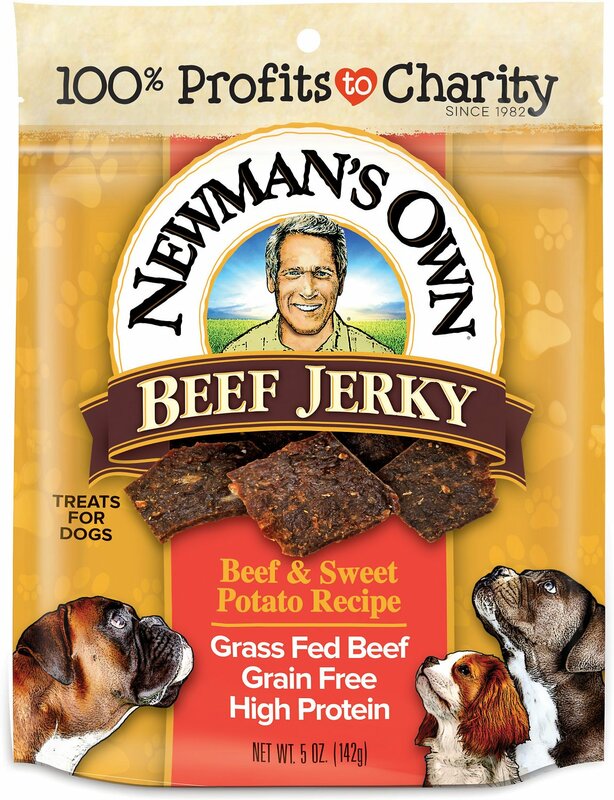 Newman's Own offers dog treats made with all natural ingredients to fuel your pup with healthy snacks he’ll love. 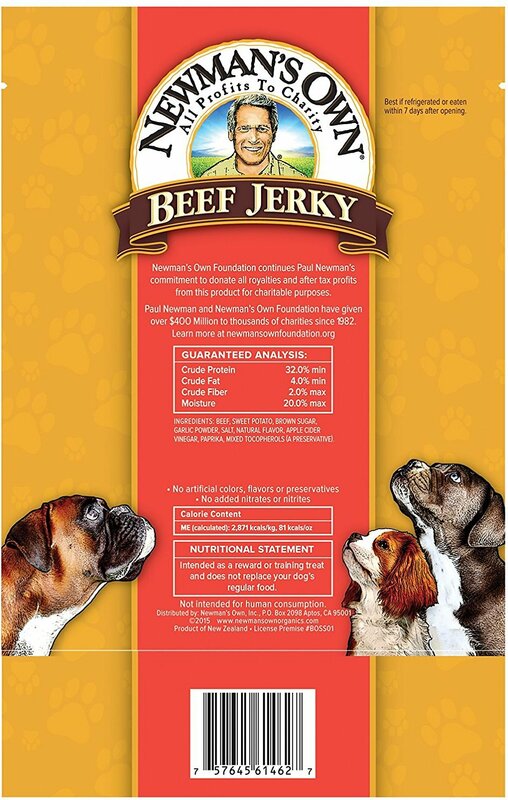 The Beef & Sweet Potato Recipe Dog Treats are high in protein, naturally preserved and contain no grains, wheat, corn or artificial colors or flavor enhancers. Made from grass-fed beef and nutrient-packed sweet potatoes, these jerky treats have a delicious meaty taste for a yummy and wholesome reward. Made from grass-fed beef and nutrient-rich sweet potatoes for a delicious and healthy reward. My dog is very picky about his snacks & I found these & he loves them. He's a small dog, so I break them into four pieces so he won't choke on them. There is another type also by Newman & I get those too. My dog loves theses. I would say this is his very favorite. I don’t even need to say sit to him, he is already sitting with big eyes just can’t hardly wait. My dog absolutely loves Newman’s Own Beef Jerky Beef and Sweet Potato recipe Dog Treats. She will sit in front of the refrigerator and bark at me until I get a treat out for her. Zoe, my yorkiepoo, loves these treats. As soon as she sees me going to the treat bag she starts "dancing". She is 13 years old and loves them! 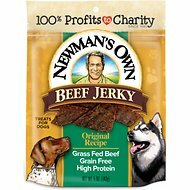 I love the Newman's own brand! 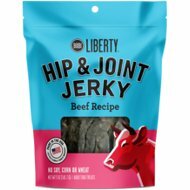 I have been using this jerky for years. My two senior chihuahua's and senior poodle love it! It's easy to break up for the smaller dogs. My dogs love this treat. The combination of beef and sweet potato is just right. My only tiny issue is the squares are so moist, they stick together. No, don't change a thing. I can live with this very easily!!! Have to be careful to seal the bag and put it out of the way to keep him from begging for more!